Have outsourcing public service providers become too big to care? In the previous post, we started to consider whether outsourcing public services is incompatible with open policymaking. In this post, we look at the size of the public services industry and ask whether ‘economies of scale’ also means ‘too big to influence’. If you’re a critic of outsourcing, G4S has made it easy for you recently. The company’s Olympic security fiasco underlines everything you believe: that superlarge private outsourcing companies like G4S are largely unaccountable, sometimes unreliable, and – given that they profit from providing public services – fundamentally unethical. 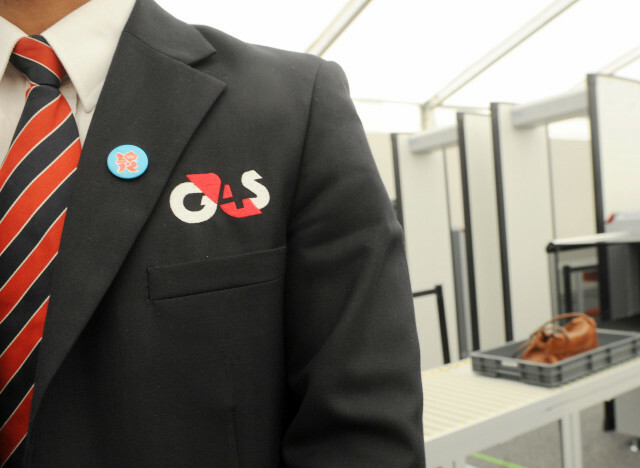 To its proponents (and sometime apologists), the public services outsourcing industry promotes greater efficiency, effectiveness and innovation, and as the public scrutiny now on G4S illustrates, they are doubly accountable – to society as well as shareholders. Our focus here is slightly different. Guerilla Policy is a proposal for a radical openness in how public policy is created, in particular that the people who use and provide public services should have a much greater role in proposing, researching, developing, implementing and reviewing the policy that impacts directly on their services and their lives. In an age of social networks and social media, we think this is entirely possible – if the will exists to make it a reality. We’re encouraged that the Government now seems to be thinking the same way. As part of its recent civil service reform plan, it has committed itself to ‘open policymaking’. Government says it believes that policymaking is often drawn from a too narrow range of views and is not designed for implementation. Instead, it wants to improve policy advice by creating opportunities for a wider range of views and expertise to inform its development. But as we started to suggest in the previous post, in reality the open policy agenda might be marginalised as a result of the Government’s (perhaps stronger) attachment to so-called ‘open public services’ – the challenge to the ‘presumption’ that the state should deliver public services rather than the voluntary or private sector (promoted through various policies such as mutually-owned providers, the expansion of personal budgets beyond social care, the use of payment by results to reduce re-offending, and the Community Right to Challenge enacted through the Localism Act 2011). Outsourcing has increased significantly in scale since the 1980s, but the bulk of public services are still provided ‘in-house’. The expansion of outsourcing has been uneven, with a much greater amount of external commissioning having taken place in waste services, transport, prisons, welfare to work and ‘back office’ services such as IT, HR and facilities management. In contrast, the penetration of private sector providers into policing, education and probation services has – up until now – been limited. The historical trend however is clear and seemingly unceasing, whichever party is in power. When it presents its vision for open public services, the Government tends to highlight the smaller charitable providers that have developed progressive, innovative, ‘people-centred’ services and approaches. It doesn’t tend to showcase the likes of Serco, Capita or Ingeus Deloitte. And yet these, more than any other providers, represent the reality of public service outsourcing today. In recent years, charities and voluntary sector organisations have seen a growth in income from contracts and fees from the public sector (to £12.8 billion per year, according to the NCVO), at the same time as grants have stagnated. However, this is still a relatively small proportion of the £82 billion in total spent on outsourcing by the public sector (according to Oxford Economics), and a smaller proportion still of total public sector procurement (of goods and services of all kinds) of £196 billion (all figures 2009/10). The Economist estimates that this £82 billion figure will increase to £140 billion by 2015. What has been more dramatic is the growth of a small group of very large providers who have the scale to absorb the costs and risks associated with delivery of many contracts. Welfare to work is a case in point; the Work Programme is a £5 billion programme which is wholly outsourced to a group of large private sector ‘prime contractors’, with only one voluntary sector provider, CDG, delivering as a prime. A4e is a good example of a company that has emerged from nowhere in the 1990s to have an annual turnover of £215 million. The vast majority of its income comes from contracts to deliver welfare to work, skills, advice and probation services. The increased reliance of government on this small group of increasingly powerful providers is well-illustrated by the G4S fiasco. And if such providers are ‘too big to fail’ – as the need for what is effectively another public sector bailout suggests (this time by police forces and the army) – then what does this suggest for the ability of ordinary people to influence such providers under open policy? If government struggles to hold such providers to account during the delivery (and indeed non-delivery) of contracts, how likely is it that we will be able to influence the way they deliver services, let alone the policies under which they provide them? The critics and proponents of outsourcing might be right to contest issues of transparency, accountability, efficiency and effectiveness when it comes to outsourcing. But as policy insiders themselves, these commentators also ignore the question that the scale of these providers poses for open policy: why should companies the size of G4S – the largest private security company and third largest private sector employer in the world – care what we think?